Neither sportbike, nor cruiser. Neither Harley, nor Porsche. 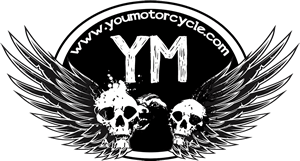 The Street Rod is a conundrum of a motorcycle. Original V-Rod owners and fans wailed about the suspension, both front and rear, and the V-Rod’s unsporting handling, particularly in corners. Say what you well about Harley-Davidson’s creative and marketing departments but these guys know exactly what they’re doing and they know how to take a hint. The Street Rod was born. 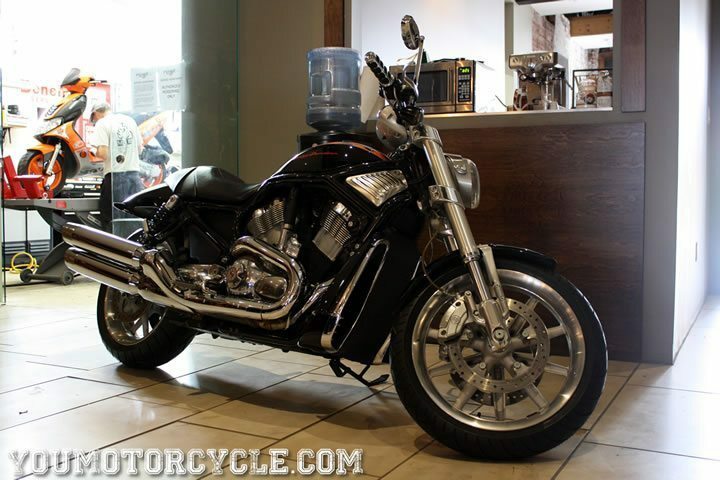 A Harley-Davidson with a Porsche co-developed V-Rod engine, 43mm inverted forks, improved rear suspension, and sportbike-like ergonomics and handling. Upper body angle is 20 degrees further forward while feet come 60 degrees closer in for a more tucked position. 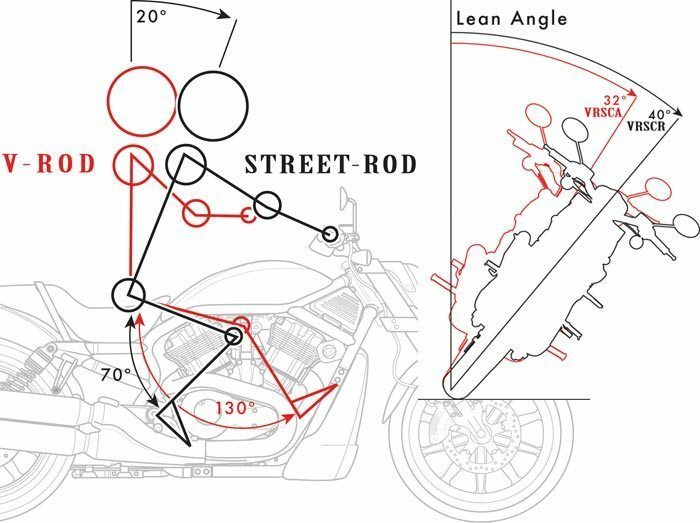 The Street Rods lean angle is 8 degrees tighter, and with better suspension to cut those corners with. For 2006, the V-Rod’s fifth anniversary year, Harley-Davidson offered the Street Rod in a custom Screaming Eagle Edition paint job. Only 150 models came in the scheme you see in the photos. A Harley-Davidson emblem on the lower right corner of the tank indicated this is #2 of 150. 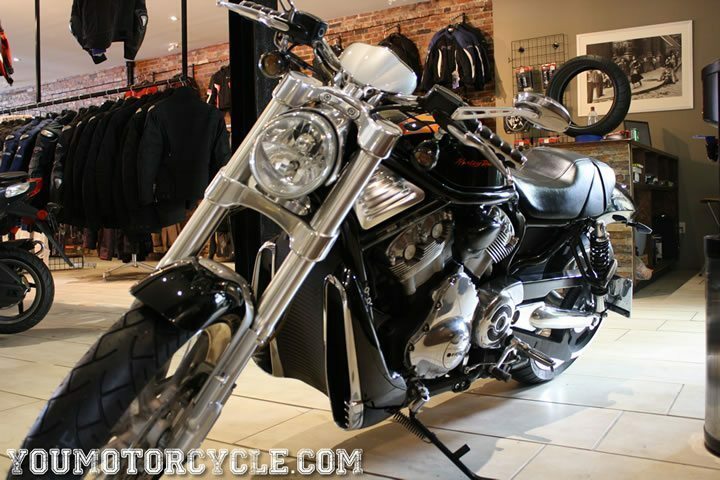 I took a few pictures at Studio Cycle Group of this stunning 2006 Harley-Davidson V-Rod VRSC Street Rod. 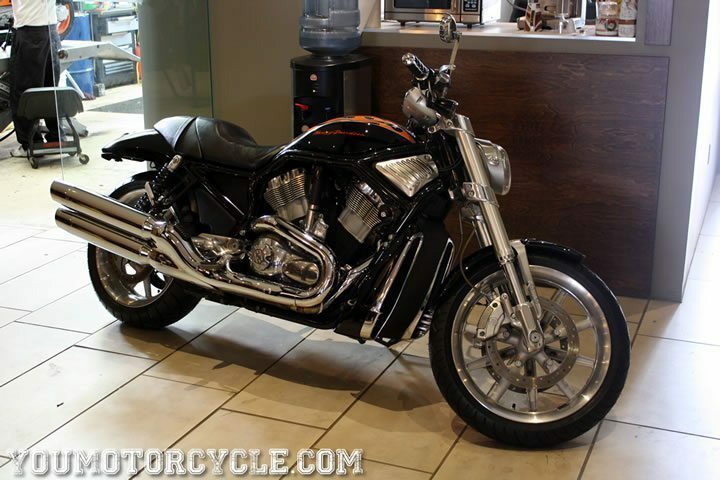 Little known fact: Both Dave and Dennis Heilman at Studio Cycle Group are experienced Porsche mechanics and are always excited to see a V-Rod in the shop. 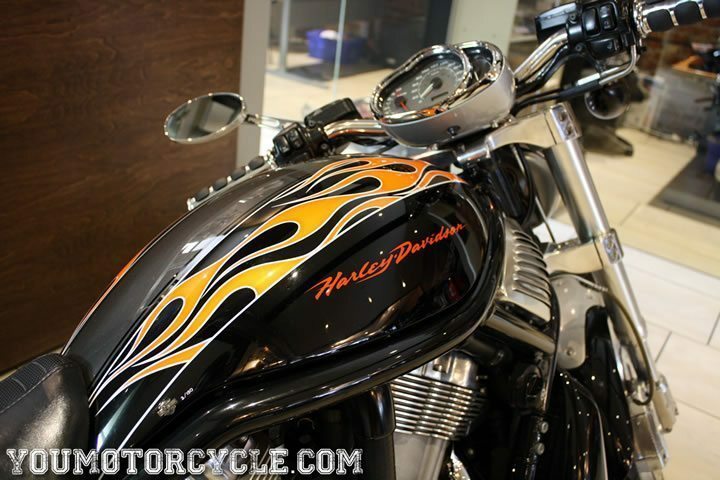 Check out the 2003 Harley-Davidson Sportster 100th Anniversary Edition and our home page for more stories. So what is it? Sportbike or cruiser? Harley or Porsche?